Dr. Mina Hoang, a long time resident of Houston, received her Bachelor of Arts from Baylor University. She then earned her Doctorate from the University of Houston College of Optometry. She is licensed as an Optometric Glaucoma Specialist and Therapeutic Optometrist. During her optometric training at Bridge Builders Eye Clinic and Quantico Naval Medical Clinic, she gained valuable experience in the treatment of ocular diseases and co-management of LASIK and cataract surgeries. 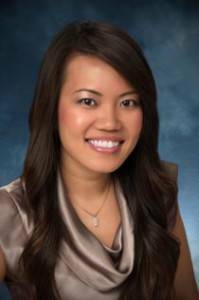 Prior to joining Eye Trends, Dr. Hoang worked at a private practice in South Texas where she managed dry eyes, diabetic retinopathy, glaucoma and fit all types of contact lenses on a regular basis.